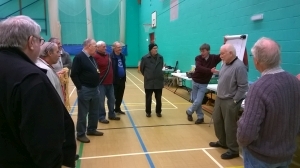 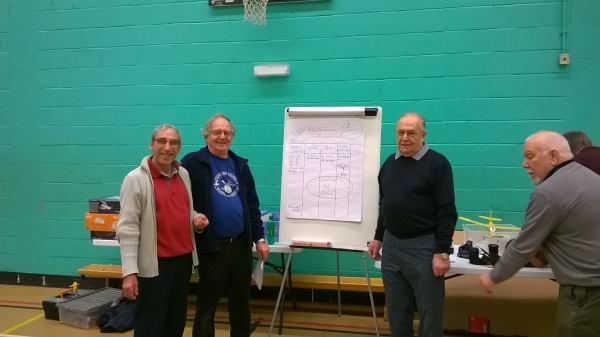 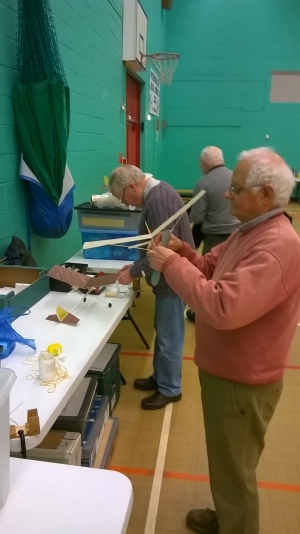 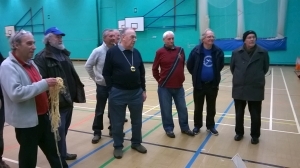 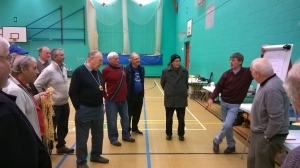 A couple of the pics show John and Bernie trying to explain the new scoring system - it actually worked well and allowed Brian W and John A to go head to head for a little Kit Scale competition. 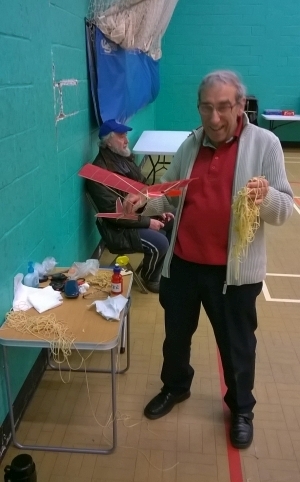 Brian set the bar with a 23 second flight from his Jodel. 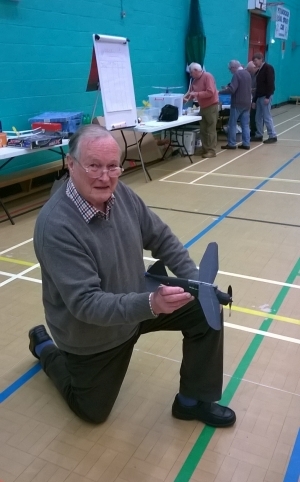 John was flying Brian Lever's Stinson Station Wagon which he had purchased for the princely sum of £1. 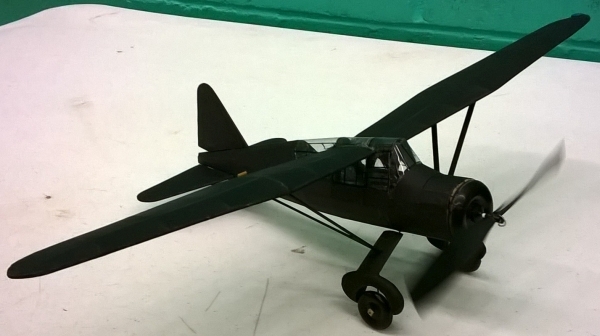 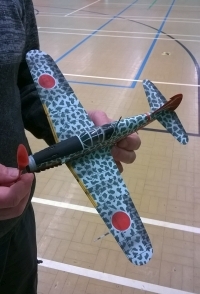 This model was a successful entry in the Nats in 2013 but is now rather heavy and was refusing to fly. 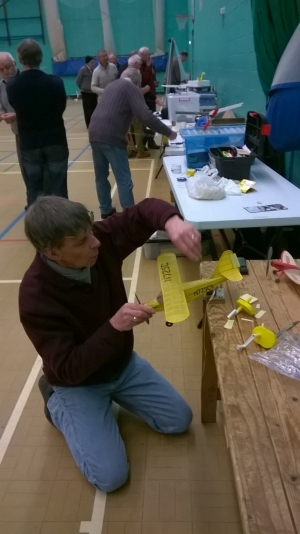 After a few tweaks however John got a 22 second flight. 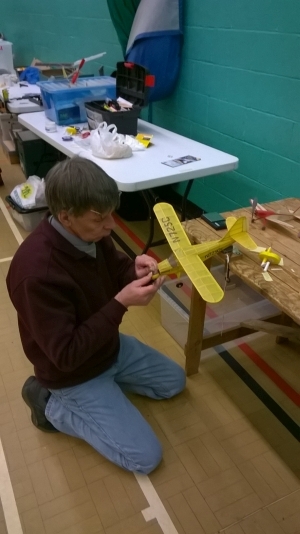 Adding a hundred turns for a flight in the last few minutes got him 25 seconds, only to find Brian had pipped him with 26! 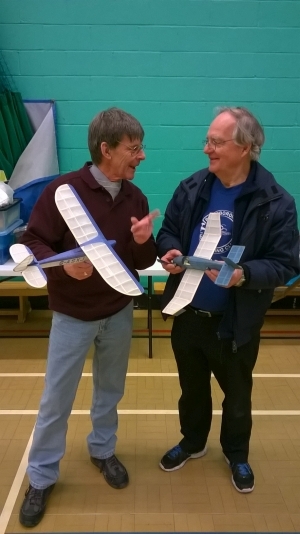 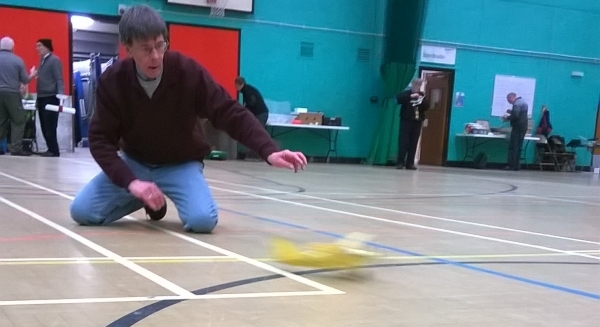 Dave Leech also got an exceptional duration flight of over 3 minutes. 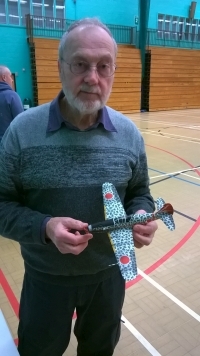 The foam peanut is a Kawasaki Ki-61 Hien by Gary Flack, he was struggling to get consistent flights but it has real potential. 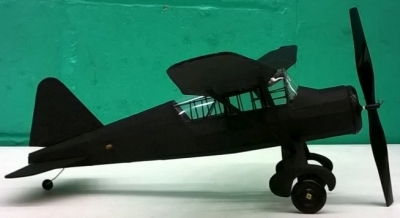 Graham's model is a Keil Kraft Lysander, another one that has a reputation as a struggle to trim but Graham managed some nice circuits with it. 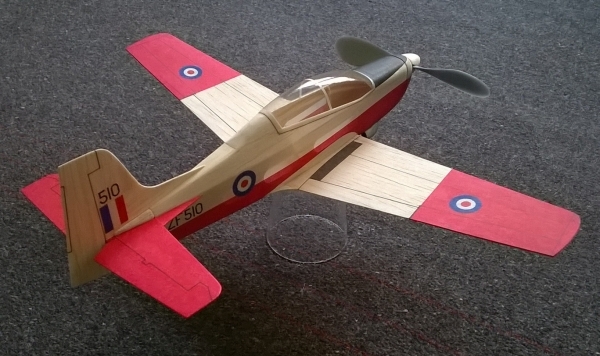 My Tucano took a little time to get right but after adding a little downthrust it was flying nicely (video to come).